to you about payment details. An “Ending Note” is a notebook in which someone can write down important records and messages, before they depart this life, for the people they will leave behind. It is a widespread practice in Japan, even among active middle-aged people, because it is easier to write an Ending Note than a so-called “Will”, and because it can be a good opportunity to reflect on one’s own life in writing. Many Ending Notes have been available in Japan from publishers and non-profit organizations. However, in the internationalized world of today, there is an increasing demand from people who wish to leave Ending Notes for partners and families who don’t understand Japanese. 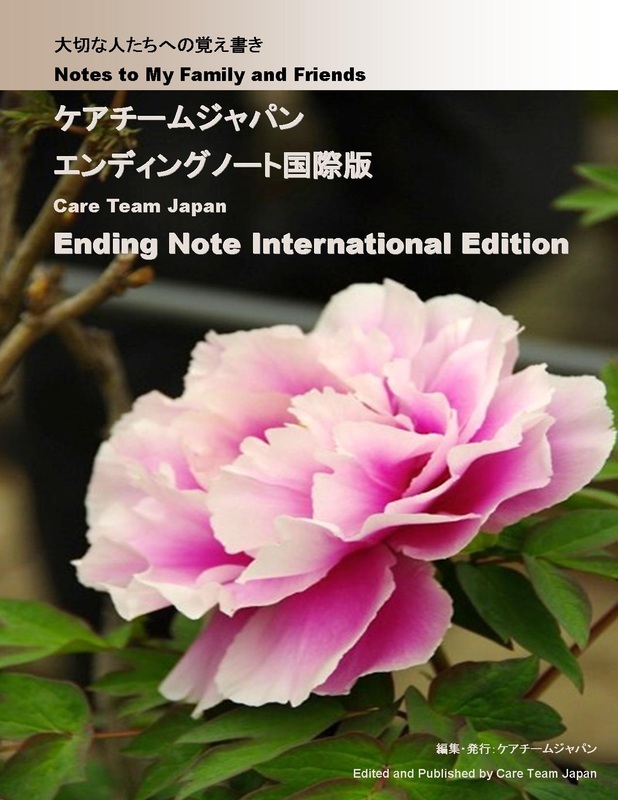 In response to this demand, we decided to publish the Care Team Japan Ending Note International Edition. For its Japanese users, and their non-Japanese partners and families, it offers side-by-side Japanese and English translations on facing pages. It is our hope that this first international Ending Note will prove useful to many people.